ProlificPro, as name suggests, is a multi purpose WordPress Theme that suits all your business needs. ProlificPro is build with quality coding and aesthetic design. ProlificPro is best and attractive WordPress theme that is built to provide you all the important features that you need in uplifting your business. The theme comes with boundless possibilities to assemble any kind of websites which may include corporate, business, agency, portfolio, education, travel, personal, blogging, and more. Extract prolificpro.zip and upload the folder. Please download the Dummy content from here. After that follow the below steps to import dummy data. 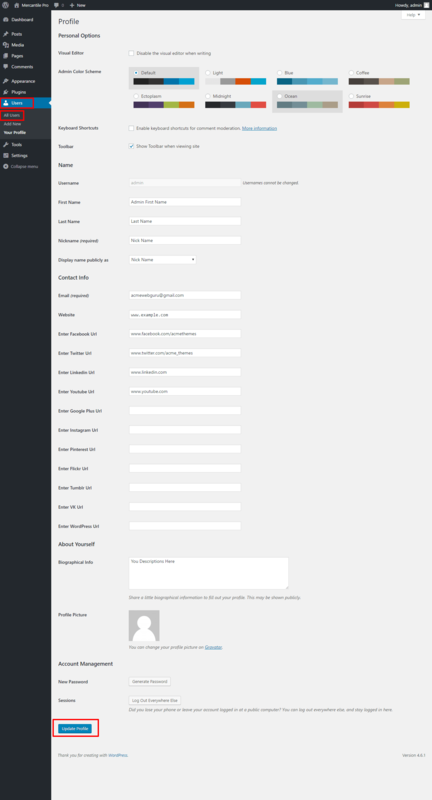 Prolific is based on Child/Parent Page Concept. Read this blog post to know how to change that text. 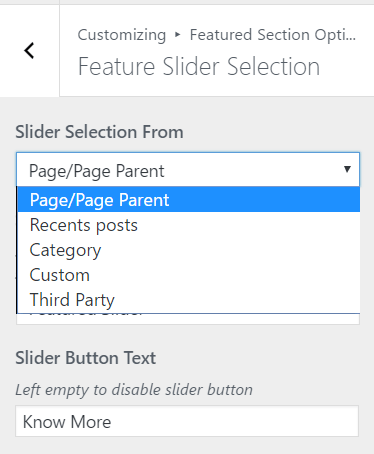 You have options to choose the featured slider from Category, Recent Post as well as Custom Sliders. You have options for Third Party Slider as well. Enter the shortcodes for the third party slider. 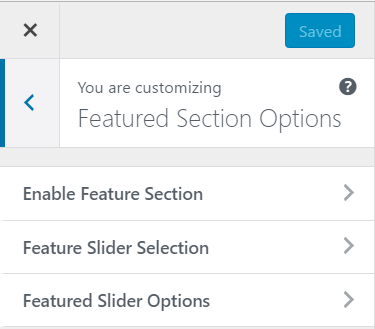 Go to Appearance > Customize > Featured section options > Feature Slider Options. In this section you can manage everything related to sliders. Manage Slider Height, No of Sliders, Number of Words In Contents, Slider Speed, Slider Text Align, Enable Autoplay, Enable Controls, Enable Animation etc. Manage the every entity from this section. You can manage Header Image from this section as well. 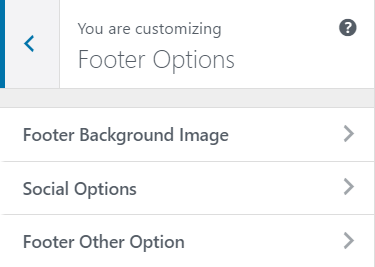 You can manage every entity related to the footer section from here. 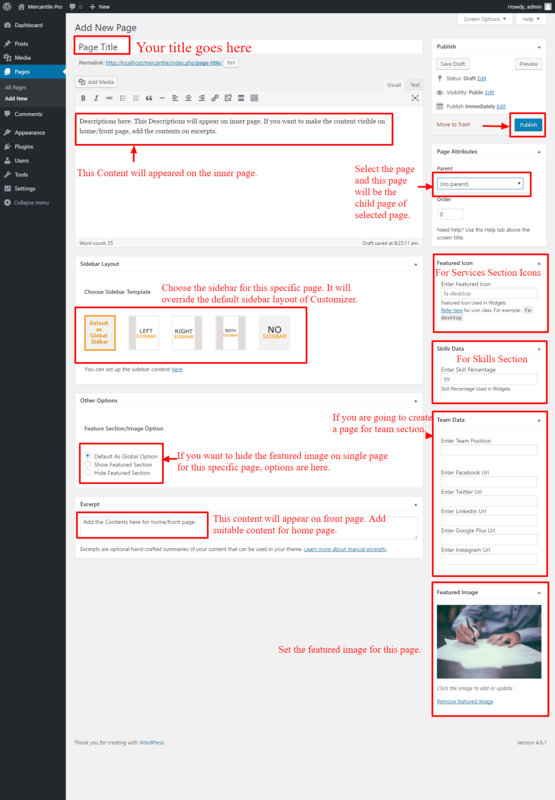 Manage number of sidebars on footer, Copyright text, Your Own Powered By Text, Enable/Disable go to top, Enable/disable social on footer, Footer Background Image etc. Every section above have lots of features inside it. Check one by one. Select the background image, color and enable the intro loader section. If you want to Enable/Disable the animation, you can check/uncheck the options available there. Select the available options for the Button design. If you want to hide the front page content, simply checked on Hide Front Page Content. If you select the default sidebar, this will appear on all pages. You can override the sidebar on individual pages as well. 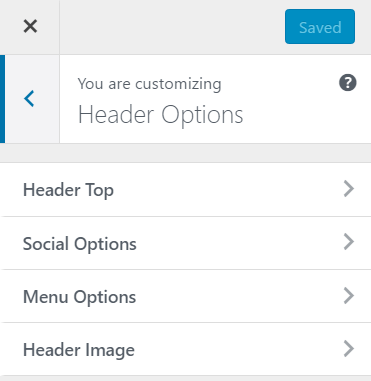 Edit the page and scroll to down to see the options for managing on individual pages. You can manage the Archive/Blog or Author page layout globally. You have Image display options, Description Length In Words, Show Description From(Content/Excerpt), Read More Text Options, Exclude Categories In Blog/Archive Pages, Show Hide Date/author/category/tags/comments etc. Use the available options and if preview is fine, click on save and publish button to save the changes. This layout will work only on Blog/Archive Pages. Example Page Link on Demo. You have multiple options to choose the color for every section. Choose the required color and click on Save & Publish to save the changes. More than 100 fonts family are available on the theme. You can change the font family of every section of your site. Click on ‘Save & Publish’ button to save your changes. 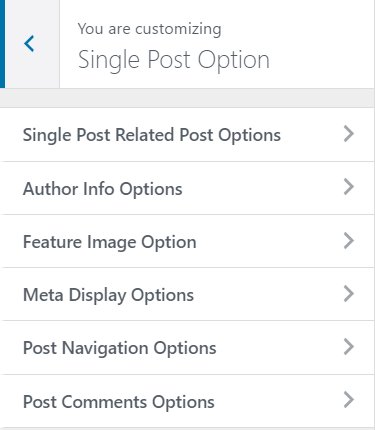 You can manage every section of the Single Post Page. You will get lots of options to manage the Related Post on Single Post. Use the available options there. Checked on Show Author Info to show author info on Single Page. You have options to hide Date, Author, Tags & Category etc. You have multiple options for the Post Navigation Options. Choose the best options for it. You have various options to manage this section. Use the available options for it. 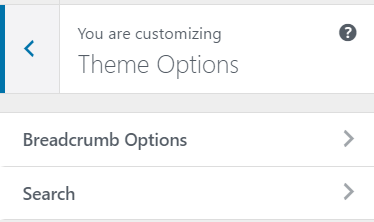 Theme Options helps to manage the section including Breadcrumb, Search Placeholder etc. Manage the every section for Breadcrumb and Search Placeholder. How to add Image, Descriptions and Social Links on Author Details? You will find the details section there. Note: You need to enable the author descriptions from Customize > Single Post Options first and it will appear on single post page. Have a look on the pages section to know more about the available features. Go to Administration > Pages > Add New. If you have any query related to theme, use support forum for the query.